It's hard to believe that there are only two months left until my due date! My 5th and final pregnancy is going by so quickly. Between juggling four kids, and dealing with horrible morning sickness throughout my entire pregnancy, my hands have been more than full! 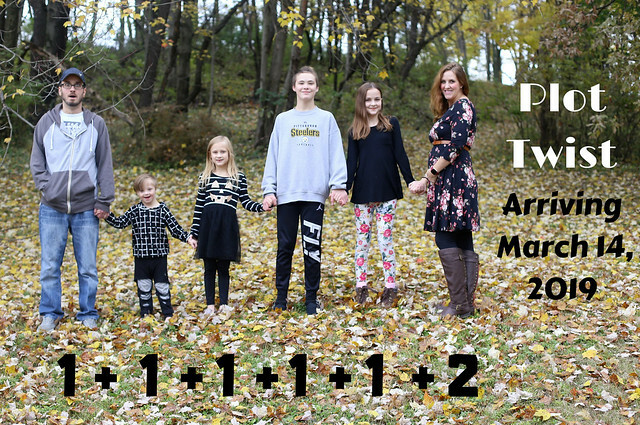 When you have multiple kids, you reach the point where you know exactly what you need during pregnancy, and what is a complete waste of time! This time around, a few new items came into my life, and I was very grateful to have them. 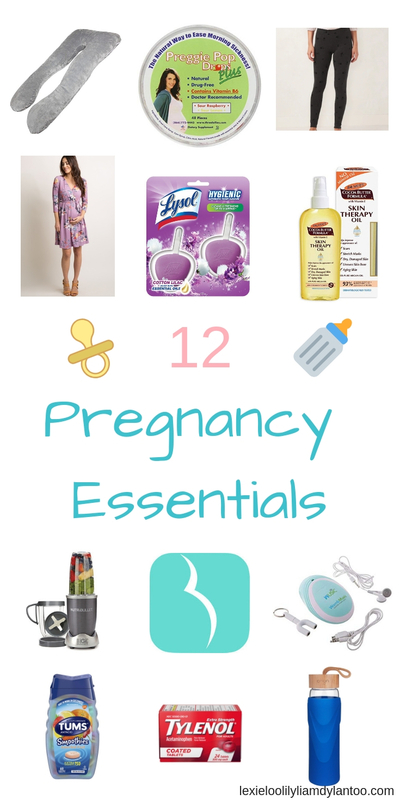 I brainstormed, and decided to share the 12 pregnancy essentials that I can't live without! Before this pregnancy, I never owned a maternity pillow. I just used a body pillow when I reached the uncomfortable stage. A friend gave me hers after she had her baby, and it was truly life changing! It is so comfortable, and I haven't experienced any pain while I sleep with this pregnancy. My kids call it my "nest" and Liam curls up and naps in it most afternoons! The pillow I have is very similar to this maternity pillow, with a gray velvet washable cover. I am one of those "lucky" people who get morning sickness through the entire pregnancy. During the first half, it's definitely classified as Hyperemesis. I know people love to give advice and recommend miracle products, but the truth is, nothing really works when you have Hyperemesis. This was my 5th time with it, and I can honestly say that NOTHING works. Preggie Pop Drops, however, are an essential during pregnancy. Although they didn't ease my morning sickness, sucking on these sour candies definitely helped keep my gag reflex under control, especially while I was driving. If you purchase the Plus version, they contain Vitamin B6, which is supposed to help with traditional morning sickness. I am not a maternity clothing type of person. Actually, because I'm carrying this baby so high, my regular jeans still fit perfectly. BUT...with all the Braxton Hicks contractions that I have each day, it's just more comfortable to wear leggings with a long top. This is my 5th pregnancy, and I still don't have a single stretch mark from any of my pregnancies! I'm not sure if it's from all the baths I take (I have to soak away those contractions) or from massaging my belly with Palmer's Cocoa Butter Formula Skin Therapy Oil every single time I get out of the shower/bath, but it's definitely worth a shot! By baby #5, I kind of know what to expect! I do love the Ovia Pregnancy Tracker app though, because I can keep track of my appointments, get personalized information, countdown to my due date, and watch the baby grow. They also have a parenting app for after the baby is born! A friend gave me the Wusic Womb Heartbeat Baby Monitor because I had given away the one I used to have since we thought we were done having babies! I think this is so helpful during the first half of the pregnancy, before you can really feel the baby moving around a lot. I didn't really use it to play music to the baby - it's not like I have much extra time for that - but I did like listening to the heartbeat. The included splitter and two sets of earbuds were helpful, too, so Grant or one of the kids could listen with me! Pregnancy and heartburn/indigestion go hand in hand. 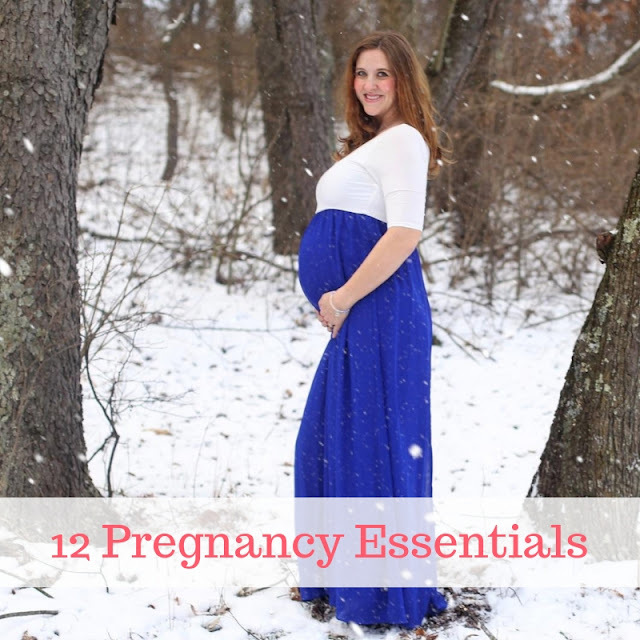 If you don't experience any of those symptoms in your second trimester, you're lucky! I only get those symptoms when I'm pregnant, and it isn't often (probably because I spend most of my time being sick), but this time around it's daily. I think it's because I'm carrying higher than I ever have before! Either way, it's extremely uncomfortable, and unfair paired with the never-ending morning sickness, so I keep Extra Strength Tums with me at all times! Speaking of medications, there isn't much you can safely take during pregnancy. Tylenol, however, is one of them, and because headaches are common during pregnancy, you're probably going to need to take it at least a few times! I suffer from migraines, but one of the few pregnancy perks for me is that my migraines go away! I do get headaches, though, so I also keep Tylenol with me at all times. Drinking plenty of water is essential during pregnancy! (It's definitely difficult for people who have morning sickness, though.) I drink as much water as I possibly can when I can. My favorite reusable hydration bottle is glass, and it's BPA free. I'm not obsessive about green living, but I do feel like glass (or at least stainless steel) is a much healthier option when it's being used so frequently! What were/are your pregnancy must haves? Oh my gosh, I've never seen those LC leggings at Kohl's... I can't believe how cheap they are! I might have to try those. Things have changed so much since I was pregnant 11 years old! You are glowing. So excited for March to get here for you. Have a great day! This is a great list! I feel like I was pregnant so long ago that there are a ton of new things available that I didn't have back then! Yesssss! Tums! Tums has been a life saver for me over here! I've also never purchased a body pillow before, but I may have to for these last two months...I'm SOOOOO uncomfortable at night! Thanks for this list, girlfriend! You look gorgeous as always! Ooh I need to check out those Lauren Conrad leggings. I love a lot of her clothes!